Our and Earth's Future Endangered! More than ever before in history, our and Earth's Current Vulnerable Future is bad. High vulnerability. Survival too little & ends too soon. Low thriving. But a Survive Future is not good enough. High vulnerability. Survival extended but ends too soon. Low thriving. Thrive! Future is best. Vulnerability minimized. 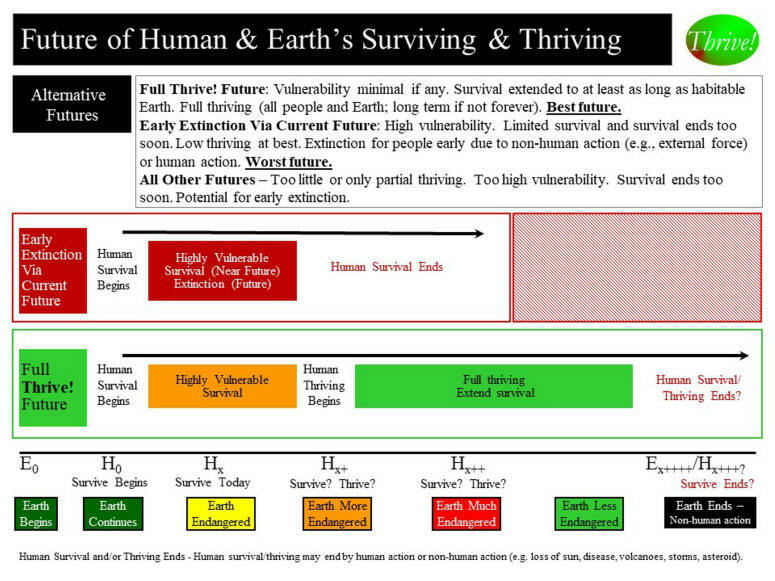 Survival extended as long as habitable Earth. Full thriving for long term and all people and Earth. Our Future? Not Be Vulnerable! Not Just Survive! Our Future! We Make Human & Earth’s Future Thrive!